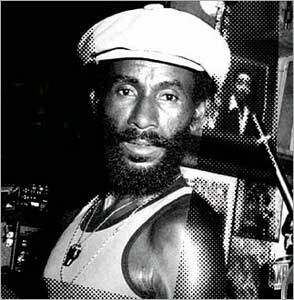 LEE ‘SCRATCH’ PERRY, in addition to being one of the most innovative musicians was one of the original independent producers in Jamaica who emerged in the late 1950s andearly 1960s. He worked initially at Sir Coxone Dodd’s Studio One but left in 1967 to join Joe Gibbs for a short spell. By the next year he had set up his own Upsetter label. Although much of his early work was uncredited, he developed a reputation for using unusual and ear catching sound effects. The latter part of the decade of the 1960s saw his seminal work with the (Wailin’) Wailers – Bunny Wailer, Bob Marley and Peter Tosh – resulting from intuitive understanding for the need to allow their vocal harmonies to stand out from the rhythmic arrangements. 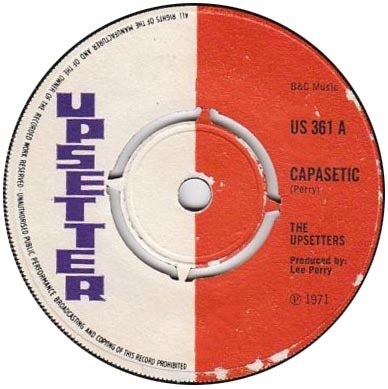 To achieve this goal his decision to record them with The Upsetters’ Carlton and Aston Barrett was inspired. The results were, arguably, two of the best albums recorded throughout the career of Bob Marley in “Soul Rebels” and “African Herbsman”. As he moved into the 1970s, he used his Black Ark Studio to embrace not only the emerging dub style but also that of on of its greatest exponents in King Tubby. Other artists to record at his studio included Big Youth, U Roy, The Meditations, The Congo’s and Junior Murvin. Lee Perry never compromised his unique approach to recording and has gained a reputation as an unpredictable (to put it mildly) individual. Without doubt his contribution to the development of reggae, in all its forms, for more than forty years can hardly be challenged. So kick back, click on the tracks below and enjoy some of the best music LEE SCRATCH PERRY has ever produced. This entry was posted on May 31, 2011 at 1:02 pm and is filed under Articles, Black History, News, Newsletter with tags Articles, Black History, News, Newsletter. You can follow any responses to this entry through the RSS 2.0 feed. You can leave a response, or trackback from your own site.